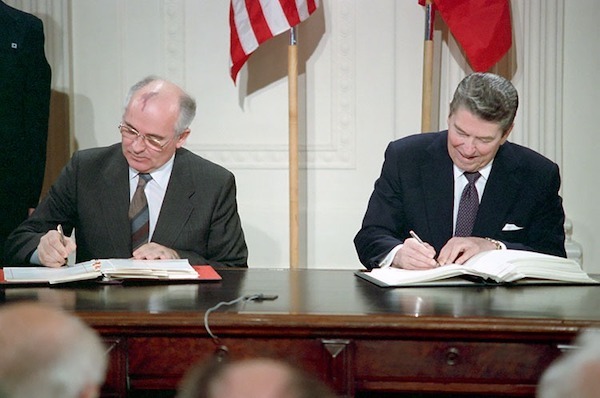 These U.S.-Russia arms control treaties have been concluded by both Democratic and Republican presidents, and Soviet Communist Party leaders and Russian presidents. In addition to the formal arms control treaties, the two major nuclear powers have also entered a number of executive agreements designed to avoid provocative actions or mistakes that could lead to a nuclear exchange. These included establishing a communications hotline in 1963, in the wake of the Cuban Missile Crisis, and entering the Incidents at Sea Agreement in 1972. In addition to the bilateral agreements, the United Nations has brokered a number of treaties with the majority of the global community to limit the spread and testing of nuclear weapons, including the Nuclear Non-Proliferation Treaty (NPT) of 1968, the Comprehensive Test Ban Treaty (CTBT) of 1996, and the Treaty Prohibiting the Possession of Nuclear Weapons of 2017. Unfortunately these global treaties have not been ratified by all of the world’s leading powers. For example, the U.S. Senate failed to ratify the CTBT, and none of the nine nations that currently possess nuclear weapons ratified the 2017 nuclear ban treaty. However, these multilateral agreements did set a global norm: Nuclear weapons should never be used again, and non-nuclear states should not develop nuclear weapons. And the international community has put significant sanctions in place against countries, like Iran and North Korea, that have violated the NPT. The last remaining treaty limiting U.S. and Russian strategic offensive nuclear weapons expires in 2021, and President Trump has so far refused Russian President Putin’s offer to extend it another five years, which can be done without approval by the U.S. Senate or the Russian Duma. This treaty not only limits the number of nuclear weapons each side can deploy, but also allows each side to inspect the other’s nuclear facilities up to 18 times a year. To get enough support from Republican members for a two-thirds vote in the Senate necessary to ratify the New START Treaty in 2011, President Obama had to agree to undertake a significant modernization program for all three legs of the U.S. nuclear arsenal. This program will dramatically increase the targeting and kill capability of U.S. strategic nuclear weapons and also forestall any effort to reduce the size of the U.S. nuclear arsenal, committing the United States to maintain at least the current, New START numbers of warheads and platforms for the foreseeable future. President Trump has compounded the problem by not only endorsing the nuclear modernization program, but also by proposing, in his 2017 Nuclear Posture Review, to add funds to develop two new tactical nuclear weapons—a move that could actually lower the threshold for using nuclear weapons.